« Shell-e-brate Earth Day, Georgia Sea Turtle Center, Jekyll Is. Come enjoy a night at the ballpark and cheer on the Savannah Sand Gnats! 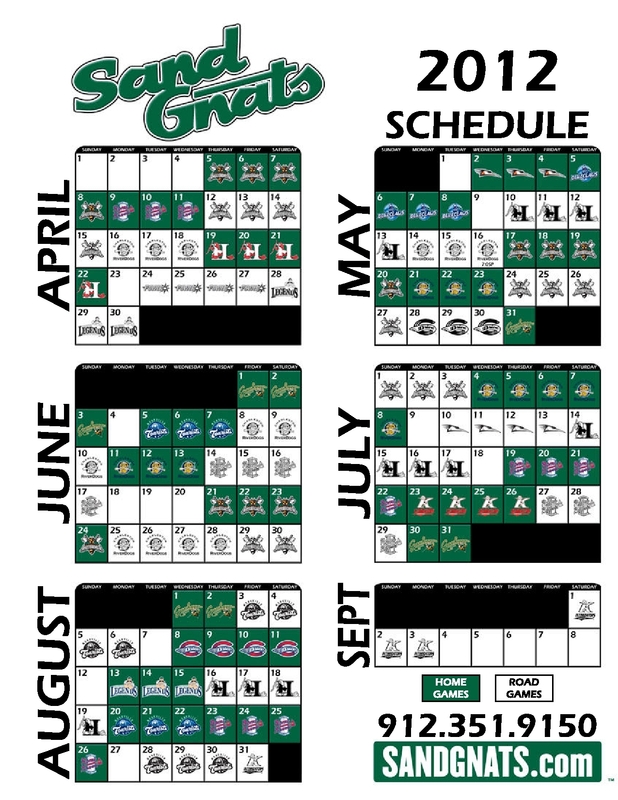 Spend time with your friends and family at Historic Grayson Stadium, visit with Gnate the Gnat, and of course enjoy some great baseball! Visit www.sandgnats.com or call 912.351.9150 to purchase tickets today. This entry was posted on Saturday, March 31st, 2012 at 1:41 pm	and is filed under Uncategorized. You can follow any responses to this entry through the RSS 2.0 feed. Both comments and pings are currently closed.